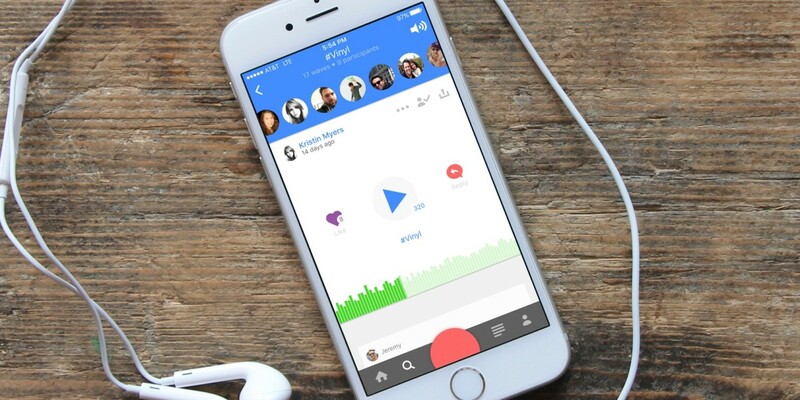 Just a few weeks after the launch of Zcast comes another startup with a fresh take on social audio. Anchor, which is out today on iOS, bills itself as an easy way of creating short podcasts that others can respond to with their own audio comments. I like to think of it as ‘audio blogging’ – more casual than podcasting, and something we haven’t seen tried like this in quite a while. After a slick, easy onboarding process, you’re thrown into a feed that includes posts from all the people you follow on Twitter who are already using the app. Right now, you’ll probably find mostly first posts in which users talk about setting up their Anchor accounts. For something a bit more substantial, head to the Search page, where you’ll find shortcuts to discussions about tech, the US presidential election and more. Recording an Anchor podcast is as simple as hitting record and talking. Once it’s live, it’s just as easy for others to respond. Anchor has been created by a team who previously worked together at photo-editing startup Aviary, including during its acquisition by Adobe. From an app design point of view, Anchor is going all in on the audio side of things; reading and typing is kept to a minimum. While Zcast is also tackling social audio in its own, different, way at the moment, those of you with long memories for startups might note that Anchor sounds more like what Seesmic was doing with video in 2007 or Audioboo (now AudioBoom) in its early days around 2009, before it decided to focus on the media industry. In fact, there is a traditional media angle here too. US radio station WNYC’s Radiolab program will be posting to Anchor as a new way of engaging with its listeners around the world. Just like fashion, tech trends come around again given enough time, and maybe social audio’s time is here, although it’s too early to say for sure. The barrier to entry with audio is higher than text, and getting people to stick with it can be difficult. Will we all be praising apps like Anchor and Zcast for democratizing audio come the end-of-2016 lookback articles? Maybe you should record an Anchor podcast, and share your opinion on that thought there. Anchor is a free download, and versions for Android and the Web are planned for later this year. The company has raised $1.6 million from SV Angel, Eniac Ventures, Acequia Capital, Scott Belsky, Betaworks, CrunchFund, Homebrew, Avi Muchnick, Questlove, Quire and Vijay Vachani.